Pooh Bear, Lollie Lou Lou and Bonnie found their forever home with Casey and Duke. Bonnie, Pooh Bear and Lollie Lou Lou had always been inseparable. When these senior citizens arrived at our shelter after becoming homeless, we knew we couldn’t split them up. 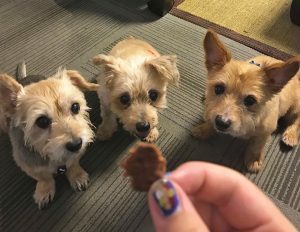 It was a confusing time in their lives, but the tiny trio found tremendous comfort and confidence in each other. With three times the love to offer, Bonnie, Pooh Bear and Lollie were looking for someone special to take them in and share their affection. 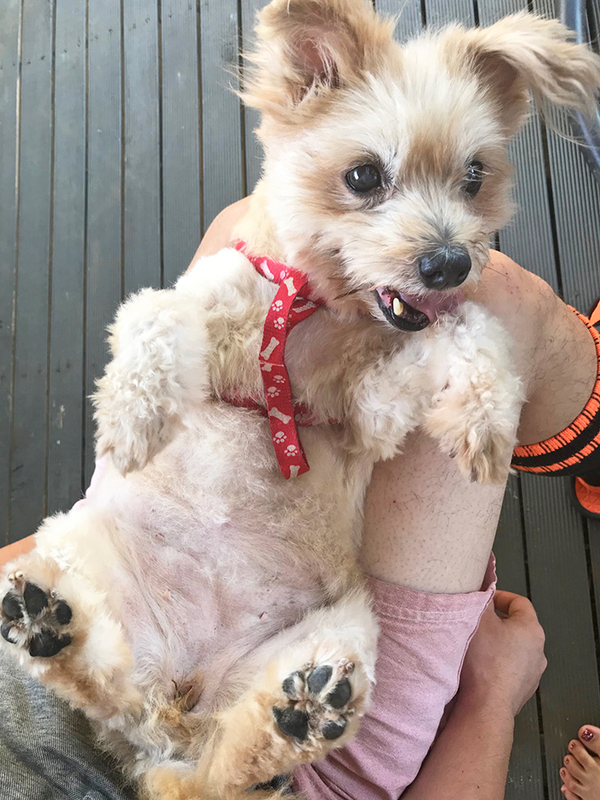 Pet lovers of Melbourne rallied together, sharing our Facebook post more than 4,400 times to help these sweet seniors find their forever home. The post caught the attention of Casey and Duke, who wasted no time visiting our adoptions centre. I always wanted a dog, originally just one, but we wanted to give them a good retirement home,” said Casey. At the age of 14, Bonnie recently passed away. She spent her final weeks surrounded by her nearest and dearest, knowing nothing but unconditional love and kindness. Bonnie shared a special bond with Lollie and Pooh Bear, and is dearly missed by her whole family. Casey and Duke are forever grateful for her devotion, and for the love Lollie and Pooh Bear continue to show them every day. “They give me stress relief whenever I’m home. They’re always happy and give a great vibe at home,” she said. To help our senior pets find a loving home as soon as possible, we’ve waived their adoption fee. Instead of an adoption fee, you’re welcome to make a donation of your choice. Meet our dogs and cats available for adoption.